It is not every day you get to sit down with a former US Attorney General. Though, it is every day that we read news from the mainstream media that is slanted or tainted. It seems that their main objective is to find a scandalous topic, to destroy the idea or the person. There is seldom any mention of any admirable qualities a person associated with the Right may have or accomplished. Seldom does it cross the mind of the journalist that he should be seeking facts. The truth is hidden some where in the commentary message most TV journalists are presently spewing. Regardless, so many times we have to wonder, whose ‘truth’ is this? The MSM is so biased that the Left can do no wrong. If facts were disclosed, in most probability, the public would not be as suspicious of the news media. The indoctrination they propagate is the most dangerous threat to our liberties. Journalists have cut a clear path for Bloggers to truthfully inform the public. It was my good fortune to have the opportunity to be able to speak with Alberto Gonzales in order to bring you some insight into the tumultuous life of a US Attorney General. 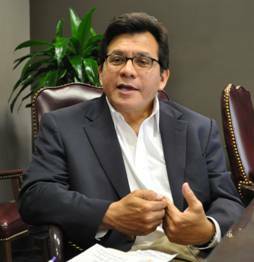 Alberto Gonzales is a native Texan, served as the US Attorney General for almost three years from February 2005 to September 2007. He had served as White House Counsel to President G. W. Bush prior to his confirmation as the US Attorney General. When George Bush was the Governor of Texas, he appointed Gonzales to Secretary of State and eventually as a justice on the Texas Supreme Court. He told me that he enjoyed his stay in Washington, DC serving his country but was ‘delighted’ to be back in Texas. He also thought that his experience in Washington, DC had enriched his life. He has a much better understanding of the complex way that Washington, DC views itself. “They think that it’s the center of the universe.” He resides in Lubbock, Texas with his family and is a professor at Texas Tech University. It was my intention to get a better understanding as to the challenges Gonzales faced while in Washington, DC. We talked about his stay in DC, the Miranda Rights, Osama Bin Laden, War on Terror, Patriot Act, enhanced interrogation, Abu Ghraib, the Al Qaeda 7, the dismissal of the US Attorneys and his career and plans for the future. Gonzales has truly walked the walk. Our conversation reveals his quiet ability to give us his honest perspective of his life in DC. 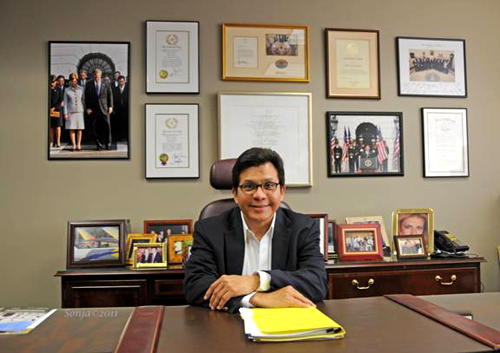 This is the first of my series with former US Attorney General Alberto Gonzales. I had previously asked him what he thought about the death of Osama Bin Laden. His answer was simple. “We established a frame work for President Bush, a law of war, paradigm; a model in which how we would bring the terrorists to justice, and so what it gave to the President of the United States was options. One option is to try them in criminal courts. One option was to try them in military commissions. One option was to simply hold in with a batch with the raised hostilities without charges like the United States has done with conflicts throughout its history. It is true that certain terrorists, if the decision is made, we want to bring them to justice in the criminal courts they would be Mirandized. If they are captured on the battlefield by the military, then they probably wouldn’t be Mirandized. So it would depend on the circumstances quite frankly." And who decides that? When you say it depends on the circumstances, is it the person who is doing the capturing? “This is a very good question because it’s not just the Attorney General that makes.., or in my judgment, it shouldn’t be just the Attorney General that makes that judgment. I think other agencies and equities like the CIA and the Department of Defense. And so what happens is someone is captured and then the lawyers from these various agencies including the White House, we then sit together and have a discussion about, Okay, what are the circumstances surrounding a successful prosecution for this individual? What do we place at risk? What evidence do we place at risk that may jeopardize the national interest of our country in bringing someone to justice? And then we make a calculation along with the discussion and a recommendation is made by prosecutors, career prosecutors at Justice, involving career prosecutors at the Department of the Defense, and then a decision is made and a recommendation is made to the President, and the President would accept or reject that recommendation. That’s the way we did it under the Bush administration. By giving them their Miranda rights, the terrorists, do you believe that the terrorists should be given the same rights as American citizens? So do you believe that by giving them the Miranda rights, then we go back to law enforcement mentality rather than the war on terror? So then you think that the President should have that option? It is my understanding that Khalid Sheikh Mohammad was not read the Miranda rights. What made this different, and if he was not read his Miranda rights, why would Holder want to try him in our federal courts? And wouldn’t this fact prejudice the case against the prosecution? Well, I can’t speak for General Holder obviously, in terms of the factors that he considered in making his initial decision about trying a case in our federal courts. The fact that he may have not read a defendant Miranda rights when arrested doesn’t mean he can’t read him his Miranda rights afterwards. Okay, so that would be after. 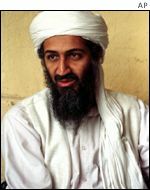 Do you believe that water boarding Khalid Sheikh Mohammed helped in the Osama Bin Laden capture? “…which ultimately led to the actual intelligence that led to the death of Osama Bin Laden. Well, that’s what everyone is reporting. What I know is that often what’s reported is inaccurate, often what’s reported is incomplete, so you know, people say that’s what happened? Okay, I’ll accept that, but I’m not going to declare that to be the truth because I don’t know, I haven’t read the intelligence reports. If I was in the White House, I would receive an intelligence briefing, and I could tell you yes, definitely. Now, let’s assume that it is in fact true. For President Bush, he understood that in order to defeat Al Qaeda we needed to have information. It was very important that the United States did everything it could to get information, but he was also very clear we would not violate the Constitution, we would not violate the law in getting that information. And that’s why the Department of Justice was asked to write these legal opinions about what kind of techniques would be permissible. And in these opinions, the Department of Justice said, “Okay, you can do these techniques, but you can only do them this way. You can only do them under the supervision of a doctor, of a psychologist.” You know, “you’ve got to make sure this person is not harmed in any way, because if you go beyond what we say, then potentially you’ve violated the Anti-Torture Statute.” Again, this was done because the President believed we needed to get him as much information we could, but we weren’t going to torture anybody. And that was his directive to us.